After getting a open session, use the 'ls command ' to see the directories . Password File shows the User Account Information. The next step is to open a 'passwd' using cat command . 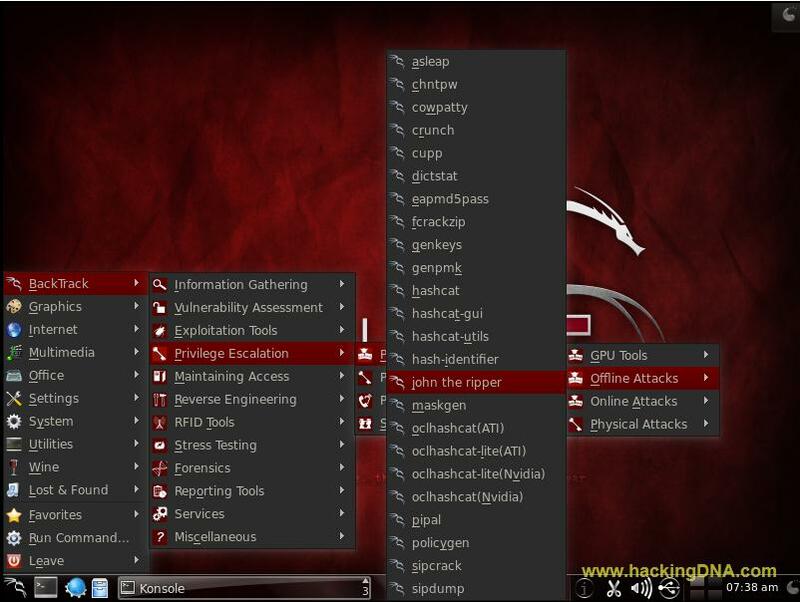 As you enter the command , below you see the all the account of remote system (metasploit). Do one more thing make a copy of passwd file and save anywhere in my case i open my password file in vim editor and save as a passwordfile.txt . 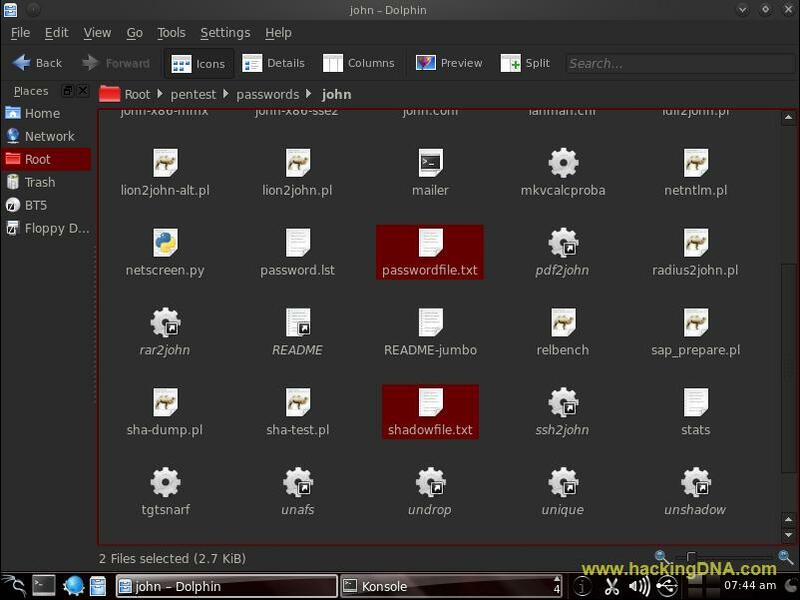 Here 'x' means password which is encrypted and stored in /ctc/shadow file with other information such as account and password expiration information . '0' means root account and another '0' means groupID . 'root' in this we can find extra information. ( but here no extra information display ). /bin/bash - It show the user shell account . 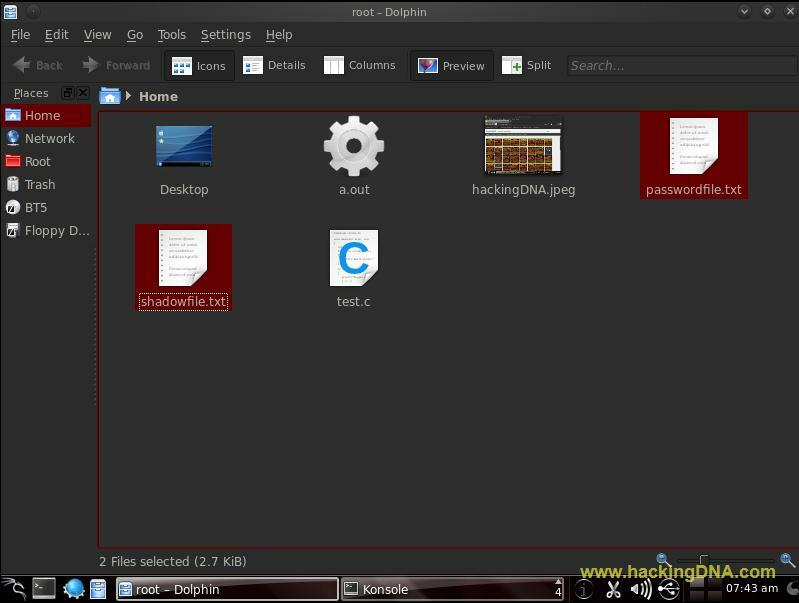 Shadow file shows the secure user account information. To view shadow file use the command given below . This command show you the shadow file . Also copy the shadow file and give a output name as shadowfile.txt and save it on the home directory. Here 'root' is the username which show match to the /etc/passwd file . $1$ : means MD5 encryption is used . avpfBJ1$x0z8w5UF9Iv./DR9E9Lid is your encrypted password. 14747 : tells the last password changed (last changed). '0' tells the minimum number of days left before the user s allowed to change password. 99999 : show maximam number of days the password is valid . And on other account you can see the ' * '. It means the account is disabled. Now open ' John the Ripper ' . Using 'John the Ripper' we are going to crack the hashes. Here is 'john the ripper'. 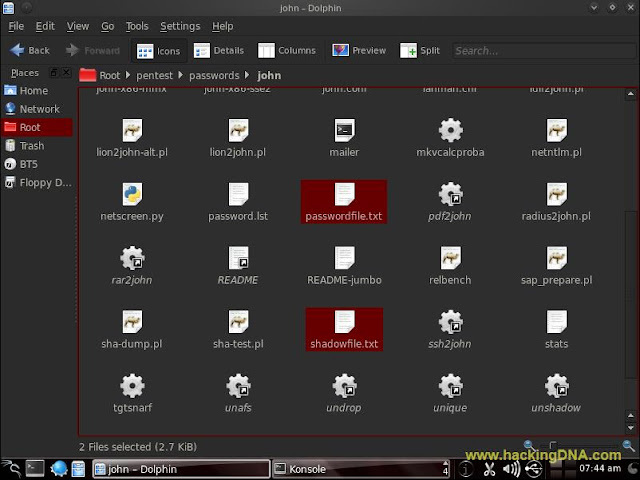 Under the john directory paste your both files( passwordfile.txt & shadowfile.txt ) . Now check for both the file , is it in the john directory or not . In the below image , see the utility named unshadow , now before crack we have to use it to make shadow file readable . Using john the ripper crack the hashes . To see passwords enter the command . THIS IS HOW WE CAN " CRACK THE UNIX PASSWORDS "